Wondering if the AngelMed Guardian System is right for you? Here is a list of some of the most frequently asked questions. Who can get the Guardian®? Patients who have had a prior cardiac event are candidates to receive the Guardian®. Your cardiologist can review additional indications and contraindications with you. What benefit does the Guardian® provide? My doctor want's more information, how to I get it? Contact our support line at 1.800.508.5206 to get further information. Is the Guardian® a pacemaker? The Guardian<sup>&reg;</sup> does not pace your heart. Its function is to evaluate your heart every 90 seconds and alert you at the onset of an acute coronary syndrome (ACS) event. 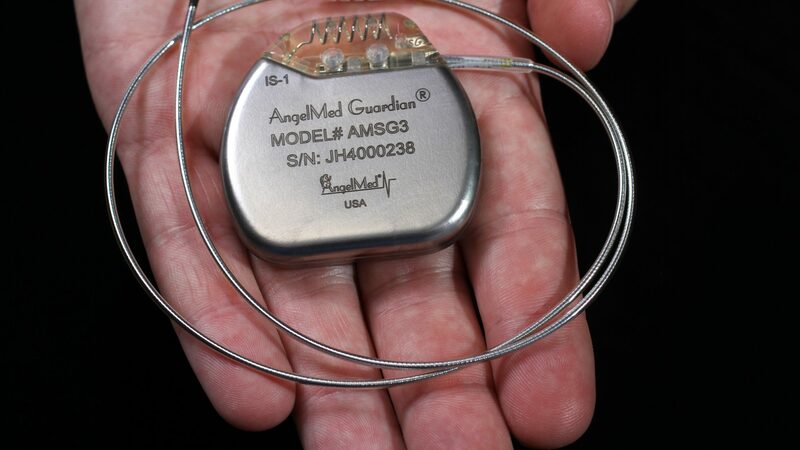 Can a patient with a pacemaker/ICD/CRT also have the Guardian® implanted? If you already have a device that is prescribed to administer therapy you cannot receive a Guardian®. Is the Guardian® covered by Insurance? We are working to get reimbursement for the AngelMed Guardian® System and expect this to occur in 2019.